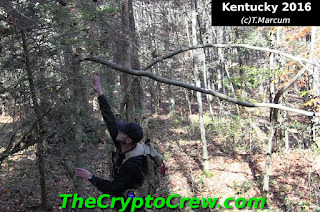 As most of you may know by now, Crypto Crew team member Jason Morse made the long drive from New Hampshire to Kentucky this past weekend. 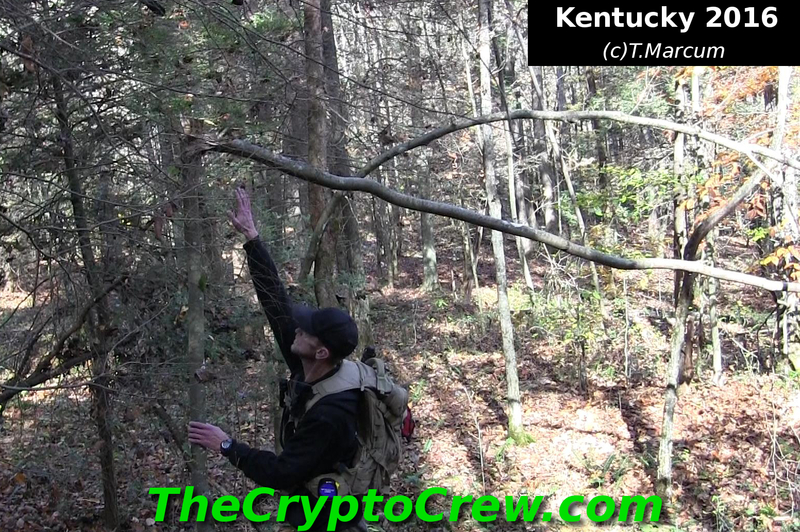 While he was here we got a chance to go out in one of my bigfoot areas and look for possible evidence. We had a very good and productive day and I feel we found a lot of possible good evidence that bigfoot had been in the area. Remember, this is an area known to have bigfoot activity and there has been a few actual sightings in this general area. We did run across one thing, the pine tree ripped out, that was odd. I'm not sure what caused the damage to this tree. 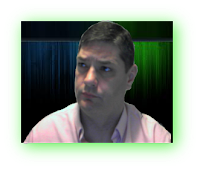 Check out the video to see what I'm talking about. It looks like a lightning strike but it has no charring and we have not had rain it weeks, but it could be. While in this area we did hear a few odd sounds and thought we seen movement a few times but nothing conclusive. Here is the video with the interesting findings. I guess, I should clarify that we did not think the odd tree, which could be a lightning strike, was bigfoot related. We just found it odd and studied it. Also, this area was not a random walk in. This is an area where I have been documenting bigfoot activity for 3-4 years. I have documented tracks, stick structures, had vocals, knocks, and i have documented sightings in this general area. Hopefully, in the future I can get back into this area and find more possible evidence and maybe set up some game cams.